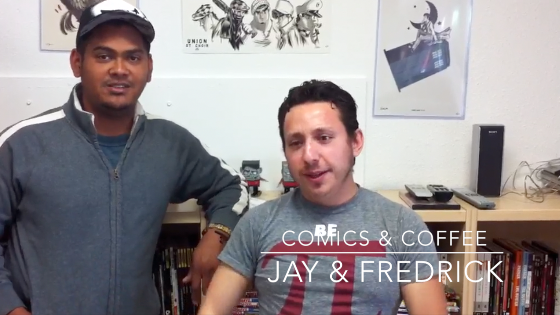 Live at Free Comic Book Day Mini-Con, Jay and Fredrick of Coffee & Comics will be shooting some video and talking comics. It all starts at 9 am. Not only are we giving away more than 15,000 free comics, we're also showcasing the talents of numerous local artists, writers, comic book creators, and just plain cool organizations -- for example, the roller derby athletes of the Sac City Rollers, the wrestlers of Supreme Pro Wrestling, the cosplayers of the West Coast Avengers, and Darth Vader's 501st Legion, and many others.